Gigi Hadid is the epitome of classic American beauty, while also having a dynamic personality, an eclectic style and a very healthy body image. The Grace Atelier team was delighted to have her carry the classic Babette Boheme handbag in white. One of her public appearances with her Grace Atelier handbag was featured in numerous magazines and online media such as Vogue India, WhoWhatWear, Harper’s Bazaar US and Vogue US. Saira Maino of Vogue Italia selected the first Grace Atelier collection as one of the winners of the VOGUE TALENTS contest in July 2014. 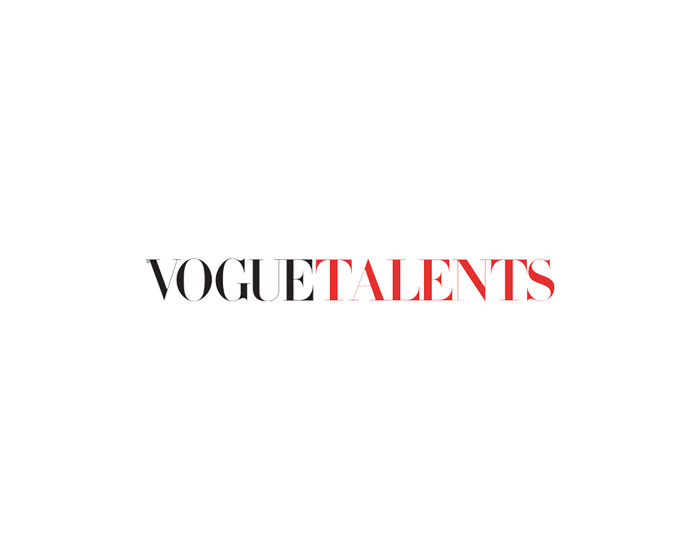 As a result, selected pieces of the first collection of Grace Atelier were featured in the VOGUE TALENTS section of www.vogueitalia.com. Grace Atelier designed and developed a bespoke clutch bag, made of textured leather and brass details especially for Chiara! Everyone in Grace Atelier was delighted that she loved not only this special piece but also some of our classic Grace Atelier de Luxe handbags. She is pictured here with her Babette Boheme in a custom-made forest green hue. Grace has always been fascinated by the clean, understated geometric lines of the Egyptian and ancient Greek architecture, while the he Art Deco style has inspired her intensely and has emboldened her love for brass-gold hues and for bold materials such as marble and precious stones. For Grace Atelier, Grace P.K. 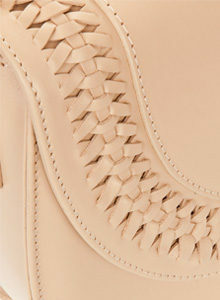 and her team use the combination of geometry and symmetry with luxurious materials in order to create statement pieces. 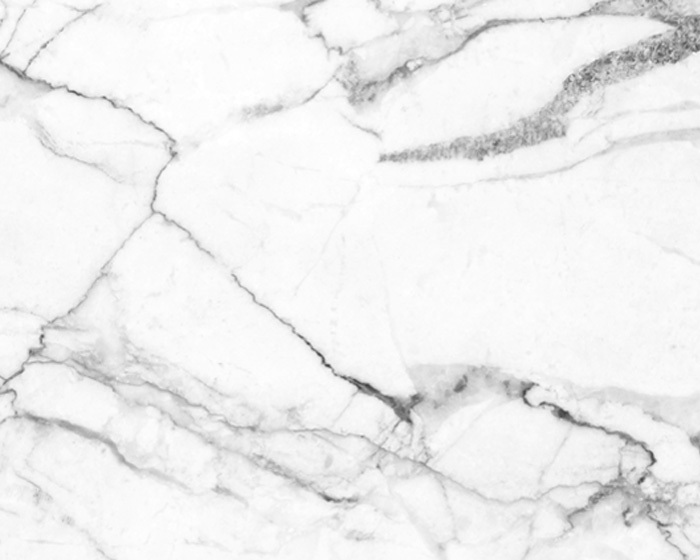 Mirror, exotic skins, marble, polished metals and lacquered wood are some of Grace’s preferred materials which often find their way into her designs for Grace Atelier. Grace was born in Italy to a family of Greek and Egyptian roots. Her grandmother and mother, fashion icons of their time, who lived in Alexandria of Egypt, designed their own dresses and accessories and had them made to perfection by the best craftsmen in town. Her mother, herself a painter, art collector and antique lover, fell in love with her father, a pioneer entrepreneur with strong anthropocentric principles. All the above have had a strong impact on her work, making Grace Atelier World a combination of her family tradition and culture and her personal vision. After studying Industrial Engineering, Grace decided to move to London where she studied fashion design at London College of Fashion. Upon graduating, she started designing bespoke dresses, bridal gowns, jewellery, shoes and handbags for an exclusive clientelle, who were able to buy her creations only through Grace’s showroom, named Grace Atelier. In 2013, the idea of shifting her energy from custom-made creations to a line of ready-to-wear products was crystallized, and her very first leather handbag collection was born. No other sense brings up emotions of the past as intensely and accurately as smell. Through a familiar scent we can experince time-travel in a very profound way. Grace pays great attention to scents; this bottle, once belonging to her father, is her most valuable possesion. All Grace Atelier boxes are perfumed with a scent of classic vanilla, her own staple fragrance. Grace Atelier hosts private dinner parties, in celebration of every new fashion season and occasionally in order to unveil a special edition or support a cause. Those exclusive events are kept under the radar and are not exposed to social media, in order for guests to unwind and focus on having a great time, right then and there. Grace P.K. hosts some of them herself; she loves creating themed dinners which are inspired by the projects she is currently working on or by the products Grace Atelier is launching at the time of the event. Everybody really enjoys them, but Grace feels that some really important guests are missing. 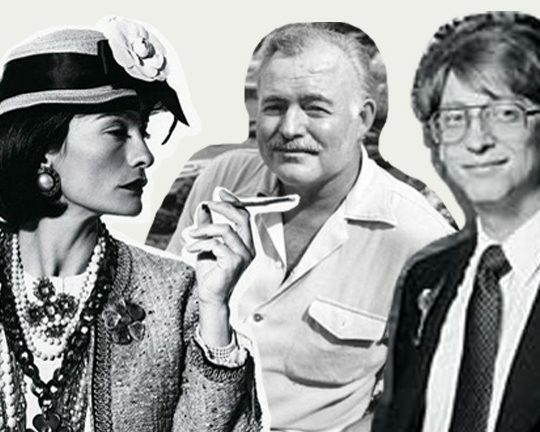 If she had to plan her ideal dinner party, she would be thrilled if she could host one where Coco Chanel, John Lennon, Ernest Hemingway and Bill Gates would attend! Can you imagine? Grace Atelier is the home of iconic, hand-made and limited edition luxury essentials. Every handbag of our Classic collection is produced in limited editions of 50 to 300 numbered pieces globally, so that product exclusivity is ensured and our clients are proud owners of truly rare items. Grace Atelier is the home of iconic, hand-made and limited edition luxury essentials. Every handbag of our Classic collection is produced in limited editions of 50 to 300 numbered pieces globally, so that product exclusivity is ensured and our clients are proud owners of truly rare items. Grace Atelier handbags come with a temporary Certificate of Authenticity, which includes each product’s specific Edition, Run and unique code. Customers are welcomed to apply online for a personalised Certificate of Authenticity, which additionally includes the owner’s name and all the details of the article. 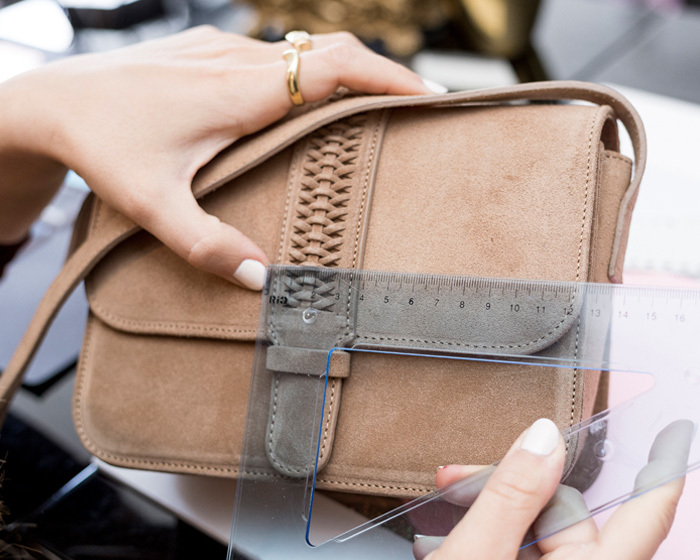 All editions from 2019 onwards have a special fabric tag attached On the products, where Customers may hand-write their name and place of purchase. This way every grace atelier creation Is transformed to a very personal Item with special sentimental value. Each edition of our Classic collection features a series of variations, such as placement, type or size of the Grace Atelier logo, leather type and/or leather color. Grace Atelier also produces smaller editions or custom-made products, branded as special or bespoke editions respectively. 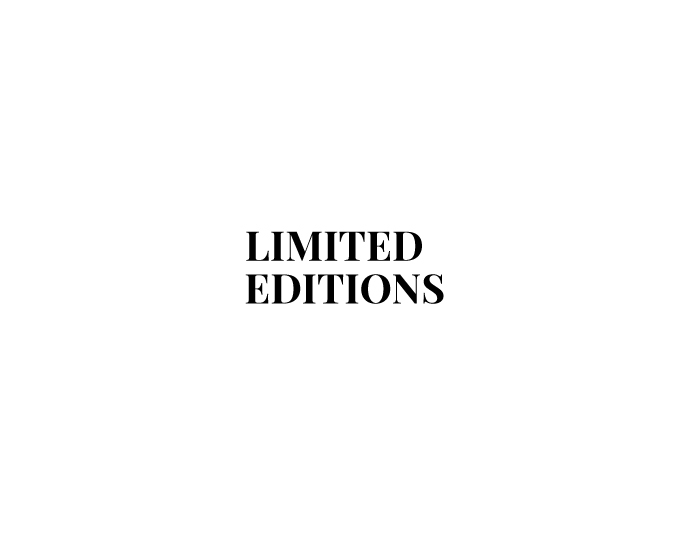 These editions are identified by their name followed by their individual number of copies, for example “Plage Royale Special Edition / 25”. The Grace Atelier showroom is home to our world. Our current collections, upcoming projects and history are all showcased here. Our clients can see a display of our initial prototypes and sketches, our very first braided panels and all the articles and publications were Grace Atelier has been featured in, as well as look through sample materials, drawings and colorbooks. Decorated as a Paris meets old Hollywood house, our showroom completely reflects the Grace Atelier aesthetic. Most of our photoshooting sessions are hosted in our offices or at the products’ display area, where furniture and decorative objects are used as props. Marble, brass, gold and a lot of black and white elements are dominant in the space, while relaxing music, exotic plants and fresh flowers create a positive atmosphere were creativity is nurtured and encouraged. As the creative director and head designer of Grace Atelier, Grace P.K. begins each project with taking some time off to travel, reflect and research. 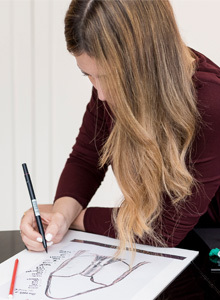 As soon as the designs of a new collection are finalised, Grace creates the draft prototypes using paper. This is the most critical stage of her work; the shape, proportions and details must reflect her original idea! Next comes the sellection of the material and the exact production technique to be implemented. During the construction phase, Grace gives thorough instructions to her trusted craftesmen and comes back the next day to find the prototype ready! She feels as if she has created a potion and she is allowing it’s ingredients to blend together until magic happens. Minor adjustments are sometimes required before the new style finally becomes part of the world of Grace Atelier. Some Grace Atelier creations feature metal hardware, custom-designed by Grace. The use of traditional manufacturing techniques is something that Grace Atelier passionately believes in. Every product is hand-cut, hand-weaved and manually constructed by skillful artisans, ensuring that every piece is a one-of-a-kind item. For Grace P.K. black is the ultimate color. However, she is very passionate about all colors-but not just any tone of colors. 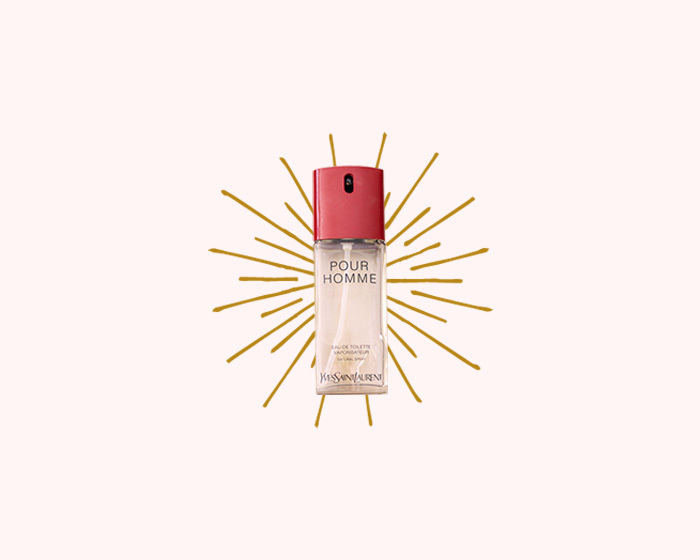 She is very particular about which specific shade she chooses to use in her projects. This is a passion that was passed on to her from her mother and grandmother. Grace also liaises colors with textures: cotton poplin looks best in pure white, silk crepe must always be a crisp off-white, while linen is at its best as an off-white made of 90% white and 10% black. Grace spends a lot of time thinking about colors and she thoroughly researches the perfect hues for her designs. 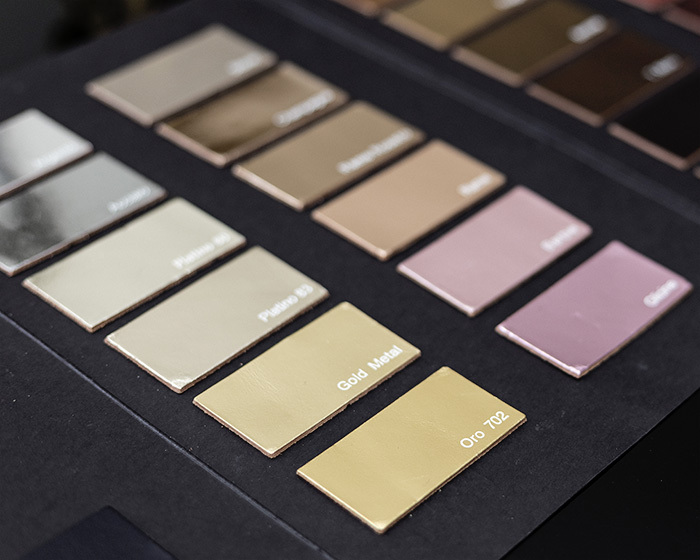 Grace Atelier works closely with a small team of professionals in order to develop bespoke hues for the leather and hardware that are used in all of the Grace Atelier collections. Even classic elements such us our gold-tone metal compartments are dyed with a specially produced shade of gold, that is now informally known as Grace gold. For each yearly edition, our classic collection colors are also a result of bespokely dyed leather, referred to as year/color (for example “2018/black”). The Grace Atelier iconic hand-weaved panels, inspired by ancient Egyptian baskets, are the signature feature of our permanent collection, named Grace Atelier de Luxe. The Babette, our classic bucket bag launched in 2013, was the first handbag to feature our signature braiding technique. Ever since, we handcraft and hand-braid our Grace Atelier de Luxe handbags with minimum use of tools and machinery. 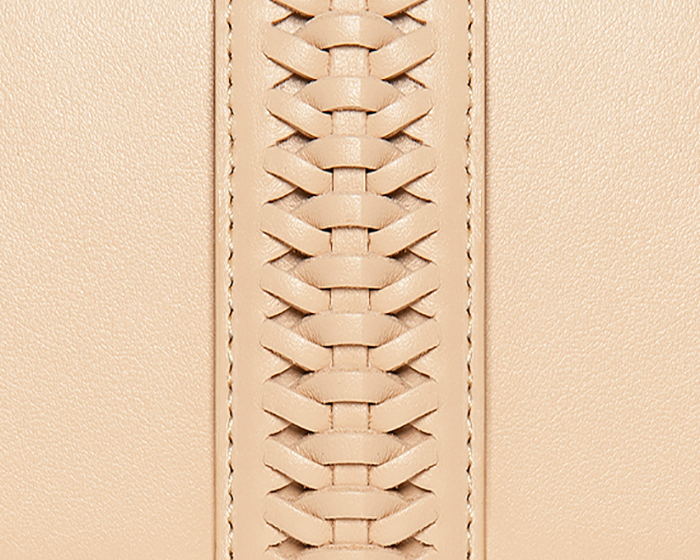 The braiding of an original Grace Atelier handbag is never positioned in the exact center of a panel, it is always slightly off-center and unnoticeably differently placed on every single panel, something that would be impossible to achieve with machine-based production. The charm of Grace Atelier does not only lie in its architectural shapes and specially developed hues, but also in this valuable detail. All Grace Atelier creations are accompanied by a personalised guarantee note that ensures that our clients are the possessors of an original Grace Atelier creation. The exact edition, place of purchase and name of the owner are stated, among other information, on the guarantee card.